Oscar Wilde once said “fashion is a form of ugliness so intolerable that we have to alter it every six months’’. I don’t know if the timeline of six months still holds true though…fashion these days changes every week and the high street serves up this instant fashion to us all. 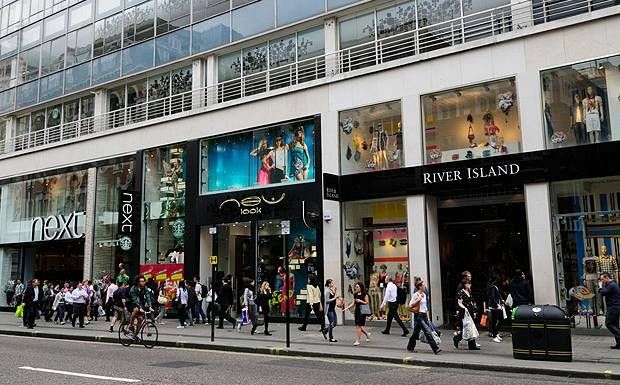 The high street has many cool brands such as Topshop, River Island, Zara, H&M, UniQlo and others, spilling with instant fashion, where new styles come in every week, at affordable prices. What keeps these brands so fresh and on point is their target market, the youth. Young people can’t afford high end luxury but want to keep up with all the runway trends, which they can easily find at affordable prices on the high street. The trickle down effect of styles and trends from high end luxury brands to the fashionable high street is so continuous that nowadays the trends from luxury fashion houses and international designers are almost immediately replicated by the high street brands, with minor changes here and there. With the wide reach of the high street, there are quite a few trends coming out of these fashionable high street brands that have had an influence on the designer labels too. So, whether you like it or not…you can’t ignore the high street anymore. These brands bring fashion to the people and they’re here to stay! < Previous Handbag Essentials – 10 things you can’t do without! The high street is absolutely essential to the fashion industry! Loved the write up. I love combining luxury with high street and creating my own style. With trends changing constantly the high street plays a key role in creating unique looks.